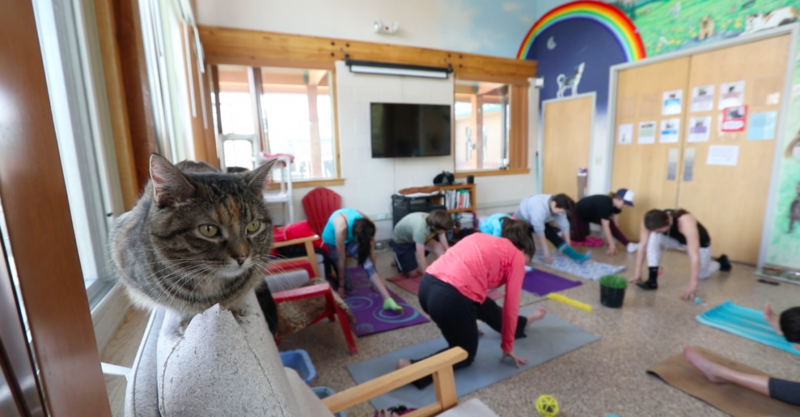 Lauren Hitchell, owner of Studio B Dance Center in Silverthorne, started Cat Yoga at the animal shelter in Frisco to raise money for the Summit County animal shelter. The donation-based class is also a way to showcase the felines available for adoption, she said.Cat Yoga runs every third Saturday of the month from 9–10 a.m. at the Summit County Animal Control and Shelter, 58 Nancy’s Place, Frisco. RSVP by contacting Hitchell at (970) 333-4366 or emailing Info@StudioBSummit.com. Space is limited to 12 people.Video by Hugh Carey and Heather Jarvis.